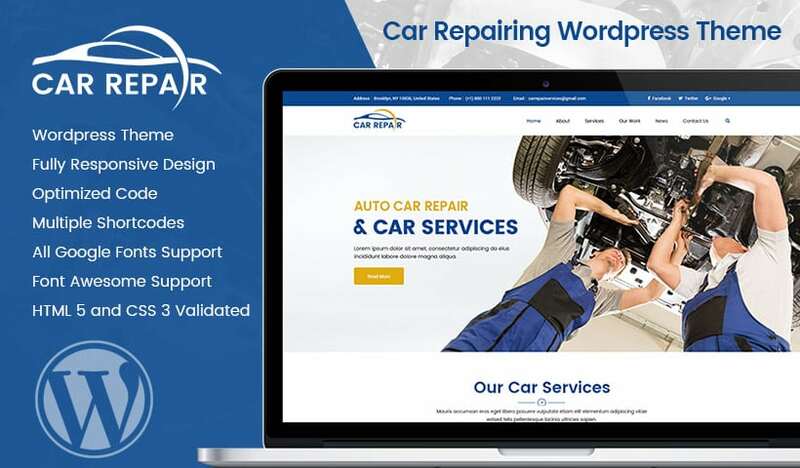 Car Repair WordPress Landing Page is fully responsive template best suitable for mechanic auto shop, car repair, auto mechanic, car service, auto repair shop, mechanic workshop, auto service, automotive companies. Car repair services landing page is professional and fully responsive wordpress theme specially designed for motor expert, auto mechanic and car services. It includes well documented files, well organized and named accordingly so it’s very easy to customize and update. We have greatly extended initial WordPress admin to provide you with more functionality that includes a wide variety of options and settings and provides maximum customization flexibility to help you create a best and most professional website. Our support is always noted by our customers as fast, helping and professional. We care about our valued customers and provide best services for website maintenance easier for you, providing effective troubleshooting. 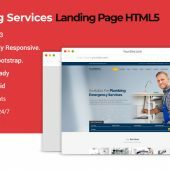 This WordPress Landing Page theme has a responsive layout that will respond to your screen width and make content appearance is perfect on all devices, from large desktop screens to mobile phones and tablets. Retina Ready displays set special demands to websites, and good day theme is developed to have an ultimate performance on all retina displays, providing premium presentation quality for your website elements. This theme for various business has an optimized code and structure, as well as fantastic Custom SEO options for every page and posts, allowing you to easily add important SEO meta data to all your website content. You can set any color to each of your menu elements. Unlimited color possibilities for you main navigation and many other website elements lets you adapt your website appearance to your company style. Very clean and good looking theme…. Excellent theme. Simple to customize this theme makes your customization much easier. Clean and easily extensible. Thanks! Really easy to use the theme for everybody seeing to build a business website rather than just a simple blog website. It has easy to use customization. It’s simply dazzling!! Thank you very much oLanding team. Support has really helped solve the problem…. Thanks so much for just what I wanted… Simple, responsive and customizable. It’s actually one of my best themes because it is attractive and absolutely stellar support.